Wash the potatoes well and dry. Coat potato with one teaspoon olive oil and rub into the potato skin. Sprinkle the potato with one teaspoon sea salt. 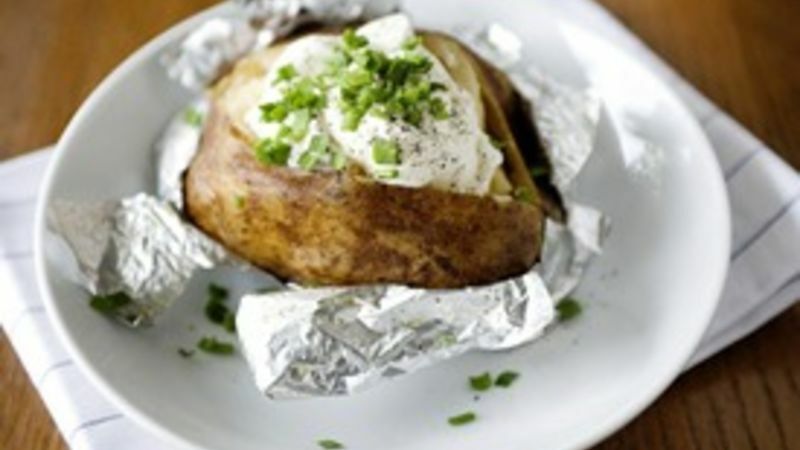 Wrap the potato tightly in aluminum foil. Repeat with all of the potatoes. Place the potatoes in the slow cooker. Cook on HIGH for 6 hours. Cool slightly and serve however you like to eat your baked potatoes.